Learn how to become a member by clicking here. Short bio about this person coming soon. I grew up and graduated from Monroe High School south of Corvallis. When I moved to Portland in 1981, I think I was the only bike commuter in the city on my old iron Schwinn. 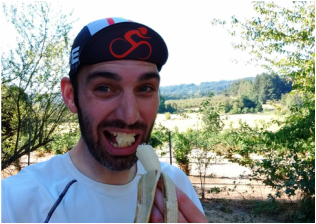 I had fun mountain biking, skiing and road riding around Portland, but now Polk County offers far less congested riding and plenty of yummy coffee shop pit stops. Ride with us and you will sample the coffee and pastries of Polk County. Teresa is an attorney in Dallas. Marshall is based out of Monmouth and rides recumbent bikes exclusively. He's originally from Iowa, works as an educator, and enjoys home theater and music.